DX-095 DX095 Denix Old West Wanted Posters. DX1007A Denix Billy The Kid Boxed Set. DX1011 Denix Lewis & Clark Napoleonic Cavalry Pistol Replica. 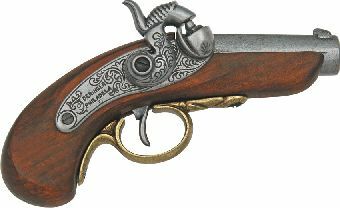 DX-1012 DX1012 Denix Pirate Flintlock Pistol Replica. 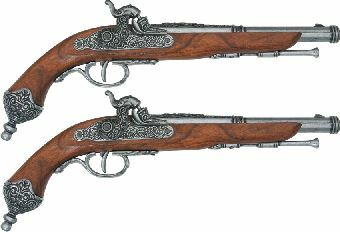 DX1031G Denix Flintlock. 15" overall.